$2.10 per hole if over﻿ 90 holes. (paper) $5.95 per inch @ widest width. (Scandinavian) $6.25 per inch @ widest width. $5.50 per inch @ widest width. $6.50 per inch @ widest width. (1 or 2 colors) $3.50 per inch @ widest width. Pre-Twisted Rush $9.25 per inch @ widest width. Genuine Cattail $18.00 per inch @ widest width. 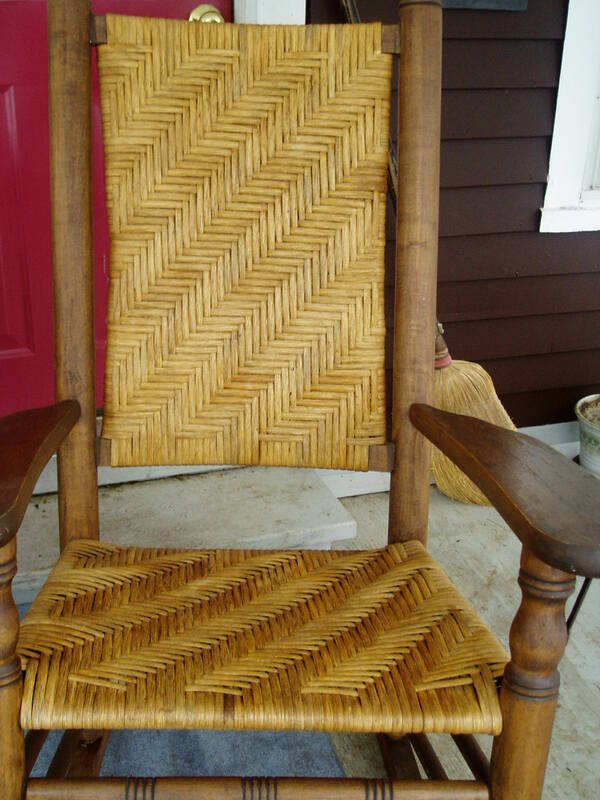 Wicker repair is charged at an hourly rate. Estimate will be given upon inspecting your piece. **Material cost will be determined at time of meeting. I take my work very seriously. You will walk away satisfied in knowing that a quality job has been done to restore the integrity into your chair.